Dario Pizzano does not have any MLB stats for the season. Draft: 2012, Seattle Mariners, 15th rd. December 31, 2018 LF Dario Pizzano assigned to Binghamton Rumble Ponies. November 26, 2018 New York Mets signed free agent LF Dario Pizzano to a minor league contract. November 2, 2018 LF Dario Pizzano elected free agency. May 10, 2018 Arkansas Travelers activated LF Dario Pizzano from the 7-day disabled list. April 29, 2018 Arkansas Travelers placed DH Dario Pizzano on the 7-day disabled list. 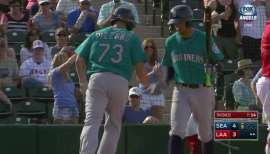 March 18, 2018 LF Dario Pizzano assigned to Seattle Mariners. August 15, 2017 LF Dario Pizzano assigned to Arkansas Travelers from Tacoma Rainiers. July 30, 2017 LF Dario Pizzano assigned to Tacoma Rainiers from Arkansas Travelers. May 25, 2017 LF Dario Pizzano assigned to Arkansas Travelers from Tacoma Rainiers. April 1, 2017 LF Dario Pizzano assigned to Tacoma Rainiers. March 1, 2017 LF Dario Pizzano assigned to Seattle Mariners. August 9, 2016 Dario Pizzano assigned to Jackson Generals from Tacoma Rainiers. April 4, 2016 LF Dario Pizzano assigned to Tacoma Rainiers from Jackson Generals. 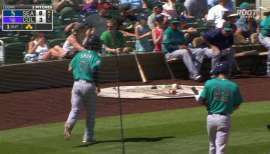 February 15, 2016 Seattle Mariners invited non-roster LF Dario Pizzano to spring training. November 2, 2015 LF Dario Pizzano assigned to Peoria Javelinas. September 23, 2015 Jackson Generals activated LF Dario Pizzano from the 7-day disabled list. June 29, 2015 Jackson Generals placed LF Dario Pizzano on the 7-day disabled list retroactive to June 25, 2015. 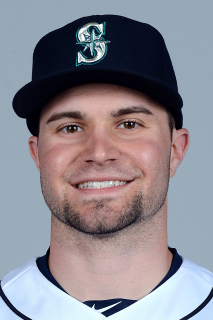 March 25, 2015 OF Dario Pizzano assigned to Seattle Mariners. May 15, 2014 LF Dario Pizzano assigned to Jackson Generals from High Desert Mavericks. April 1, 2014 LF Dario Pizzano assigned to High Desert Mavericks from Clinton LumberKings. March 3, 2014 OF Dario Pizzano assigned to Seattle Mariners. April 3, 2013 LF Dario Pizzano assigned to Clinton LumberKings from Everett AquaSox. August 25, 2012 Dario Pizzano assigned to Everett AquaSox from Pulaski Mariners. June 14, 2012 Dario Pizzano assigned to Pulaski Mariners. June 13, 2012 Seattle Mariners signed OF Dario Pizzano.